There is something so dainty and feminine about lace. It has always had a star role in bridal apparel but is now a huge trend in wedding decor as well. We found so many lace ideas that is was hard to narrow down our favorites. 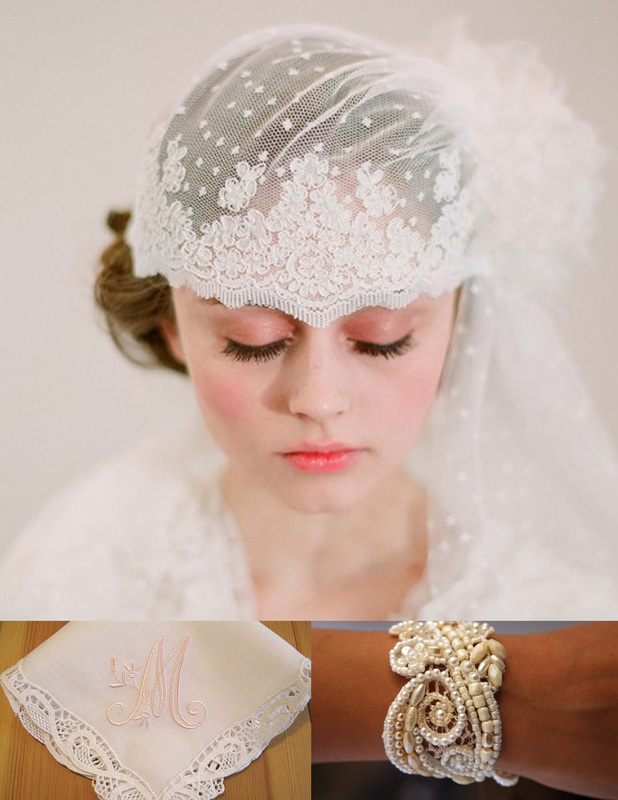 This French inspired bridal cap is stunning. Monogrammed hankies are so sweet and perfect gifts for mothers, grandmothers and bridesmaids. We love the way an heirloom handkerchief looks on a bouquet. This lace inspired bracelet would look beautiful for the wedding and could definitely be worn again afterwards. 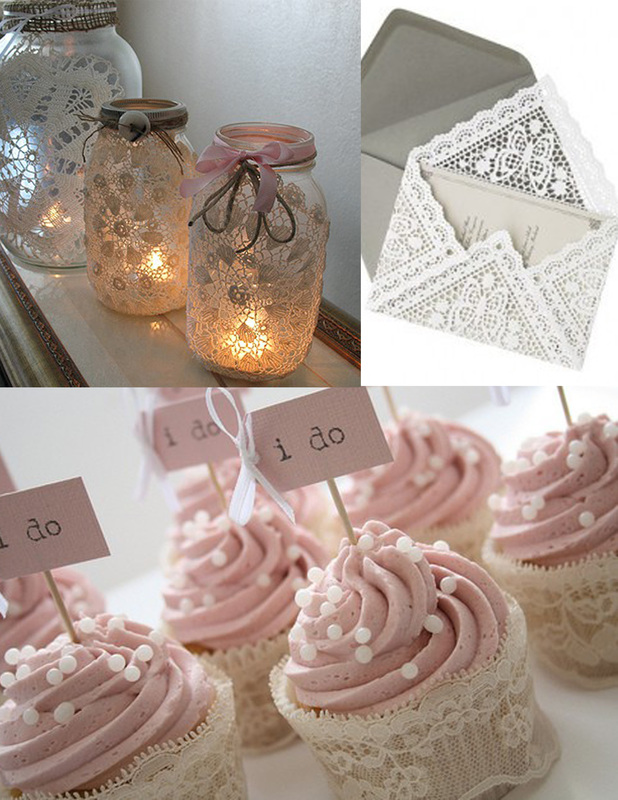 Lace and mason jars as votives – Yes Please! And for cupcake liners. And for an inner envelope for invitations! This invitation suite has a lace pattern in the great color scheme of peach and gray. 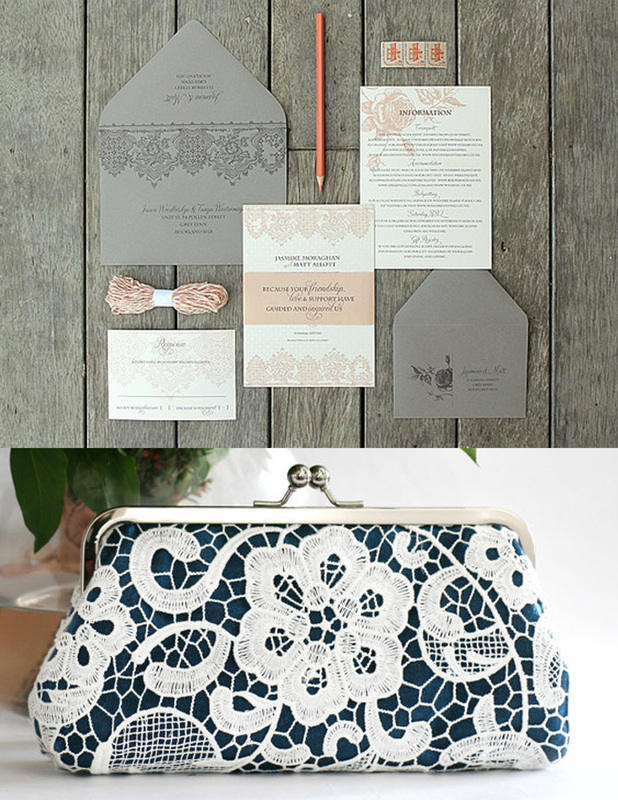 A lace clutch would be great for a bride or her stylish bridesmaids. How clever is the idea of using a doily under a glass plate as a name card? This cake is simply beautiful with the lace pattern to add texture and contrast. 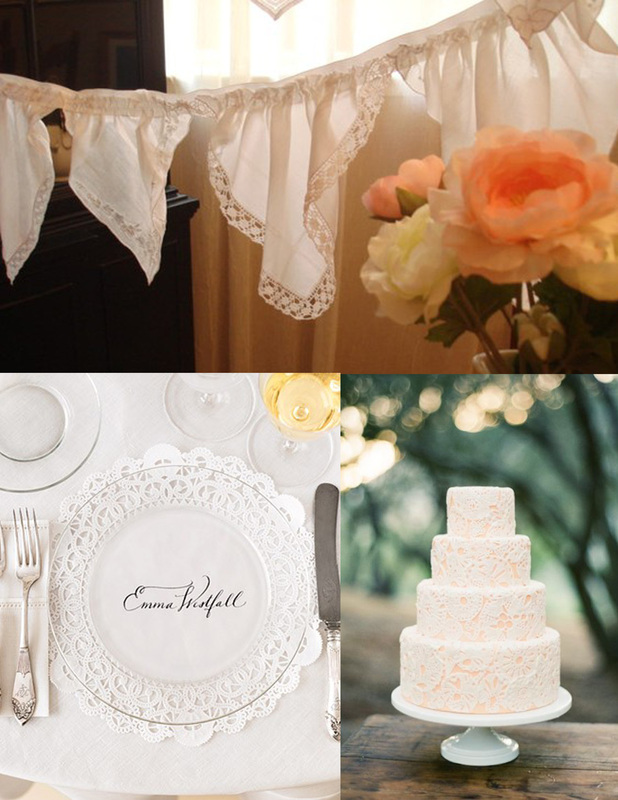 Even the popular trend of bunting can be combined with lace handkerchiefs to create a vintage look. If you don’t want the lace bridal veil or just want something fun to wear at the reception you could opt for this lace and floral fascinator. These lace shoes are yet another fun bridal accessory. We adore the detail in this Irish linen ring bearer pillow and handkerchief. 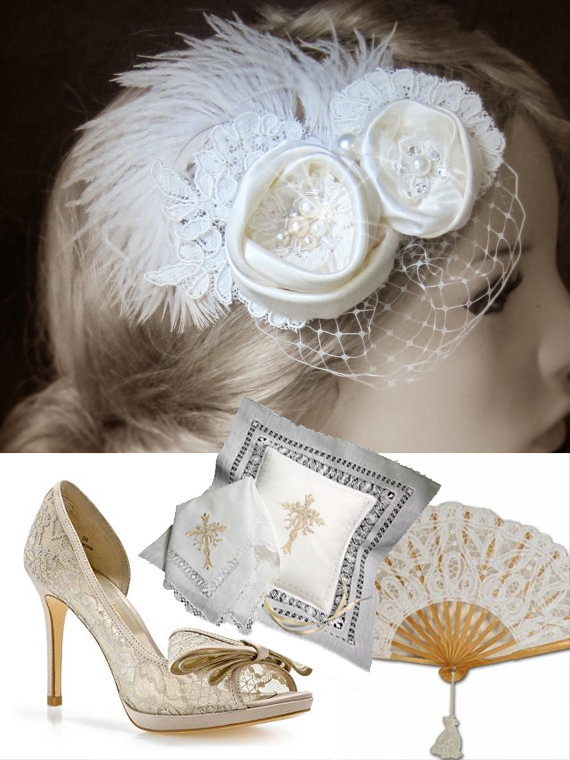 And because we love fans (its hot here and this is fashionable & functional) we had to include this battenburg lace version.